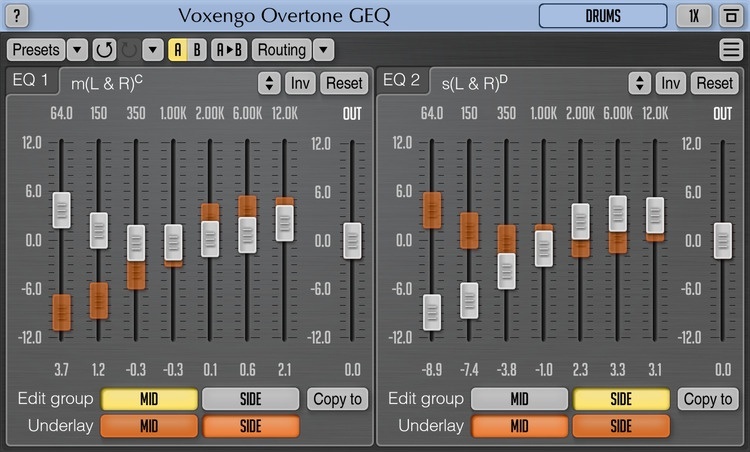 Overtone GEQ [Freeware], Software graphic EQ from Voxengo. 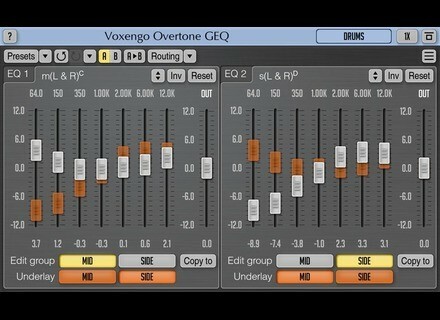 Voxengo has announced a series of updates for several of its plugins: Beeper, Overtone GEQ, Sound Delay and Stereo Touch. audio plug-ins are now available for download. These plug-ins can be loaded in an audio host application that conforms to the VST or AudioUnit plug-in specification. Plug-ins are compatible with Windows XP, Windows Vista (32- and 64-bit) and Mac OS X 10.4.11 and above (Intel and PowerPC) computers (2 GHz dual-core or faster processor with at least 1 GB of system RAM recommended). Version 2.4 features additional visual look variation settings. The "VST Function Sync" global switch was added that fixes crashes in some hosts (i.e. Tracktion). Parameter automation on AU Mac OS X now shows real parameter values. Preset "update" function implemented in the preset manager. "Density mode" implemented in level meters. nob read-outs now require a single click for keyboard entry. Stereo Touch is effective on monophonic sounds: it works for both acoustic and electric/overdriven guitars, synthetic pad sounds and even vocals. AudioSpillage Updates DrumSpillage AudioSpillage has updated DrumSpillage to 1.2.1.